1947 Chevrolet StyleMaster Photo Picture Classic Cars for sale & Classifieds - Buy Sell Classic Car & Classic Truck Classifieds. 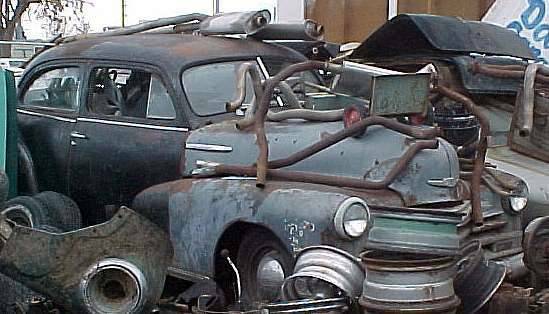 1947 Chevy Stylemaster, 2 dr sedan piled high with junk on it. Have fun getting that out of there! The wife is always complaining about my junk piles. I just call it lawn art. That's what we have here, a beautiful pile of lawn art. maybe they're varkus veins from old age all over her. Nice pipe shelf but I like the intestines thing better. I want this car for my grandfather birthday! Pay $300 or more! Will You sell it?